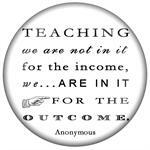 C8342-Teaching We are not in it for the income, we are in it for the outcome. Home > Coasters > Everything Else Coasters > C8342-Teaching We are not in it for the income, we are in it for the outcome. 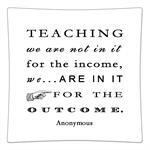 C8342-Teaching; we are not in it for the income, we are in it for the outcome. 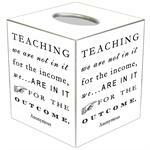 P8342-Teaching We are not in it for the income, we are in it for the outcome.